As readers will soon learn, the confidence game is basically a method of earning the trust of someone before ultimately deceiving them. There is nothing fantasy-oriented or unique about the "confidence game" at all, and my jaw dropped with disbelief after learning its definition in the book. 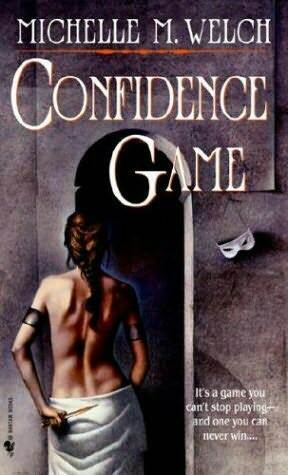 In addition to the disappointment of learning what the confidence game truly entails, there are no components in Confidence Game that are very original or remotely engrossing. The political chapters describing the Justices and their studies are about as interesting as watching paint dry. I'm terribly sad that Confidence Game lacks intrigue and excitement and does not fall into the recommendation category. The pros to reading Confidence Game are that despite its lulling style, the chapters are short and fast-paced. It easily pulls you in but is most likely to disappoint before the midway point. If you're looking for a fantasy novel with a similar plot involving a strong, courageous woman with magical talents in a politically harsh fantasy-environment, I highly recommend reading Maria V. Snyder 's "Study" series, beginning with Poison Study (2005) and following with Magic Study (2006), then Fire Study (2008). The books following Confidence Game in the "Five Countries" series by Michelle M. Welch are The Bright and the Dark (2004) and Chasing Fire (2005).